I would like to show you two ways of tracking and visualizing your trips with PhotoMap. (1) The first option is to take pictures with geo positions and let PhotoMap connect them. You can activate the lines by tapping on the map in the upper right corner and checking the “Path” box. 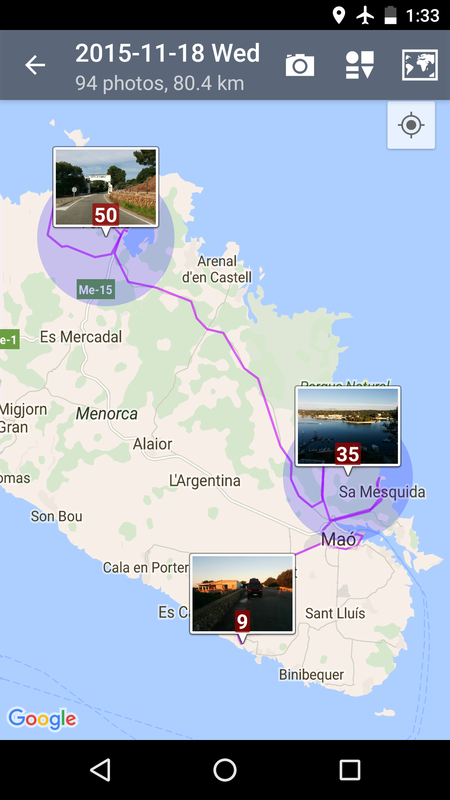 PhotoMap connects your pictures – sorted by date taken – and calculates the total distance between them: 63.0 km. PhotoMap can connect your pictures to visualize your trip. (2) The second option is to use PhotoMap’s geo logging feature and view a more detailed track. Do you see the difference? You can see the detailed trip by tapping on the map in the upper right corner and checking the “Logged Positions” box. The total distance based on this is 80.4 km. PhotoMap can visualize the logged positions of your trip. 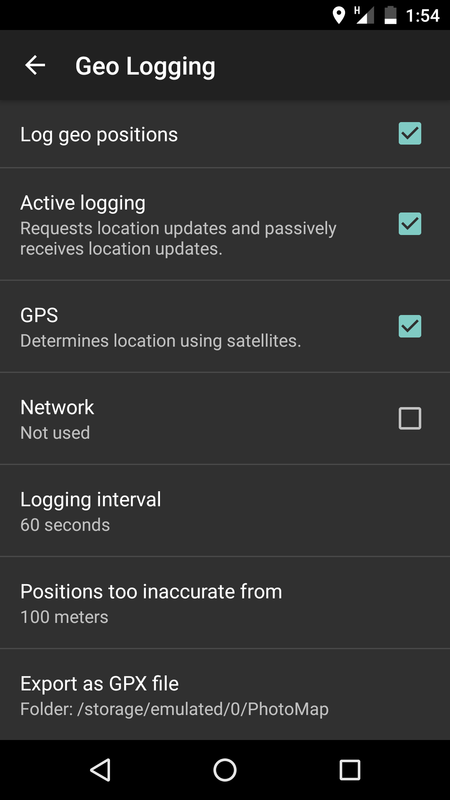 To get a detailed trip record, you need to activate the geo logging feature by checking the boxes “Log geo positions”, “Active logging”, and “GPS” and/or “Network” as you can see in the following screenshot. 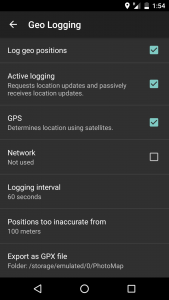 Adjust the geo logging feature to get a detailed record of your trip.